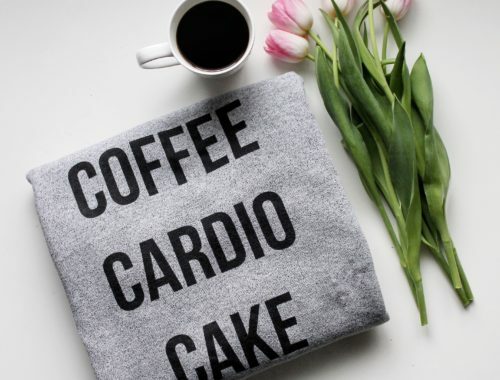 Around the time I started my blog, I connected with an awesome Canadian momprenuer who had also started up a new venture. Maria of ‘be. 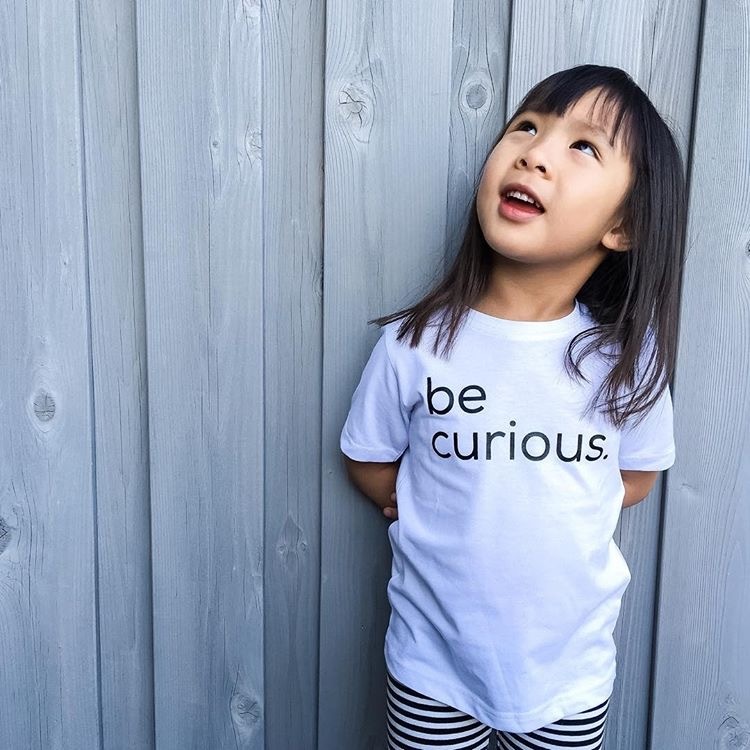 BY ZOË MARGAUX’ began selling kids’ tees earlier this year. 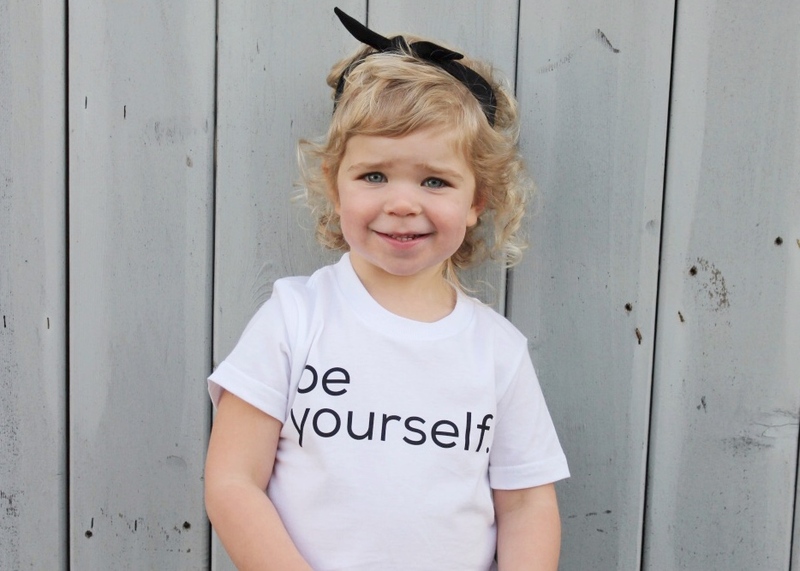 Not only are her shirts on trend with their monochrome color scheme, but their message was what made them catch my eye. With two young girls of her own, Maria’s pieces convey simple words to live by and powerful messages for the little humans we are raising. One shirt from her collection in particular spoke to me, and I knew I had to have it for my son. 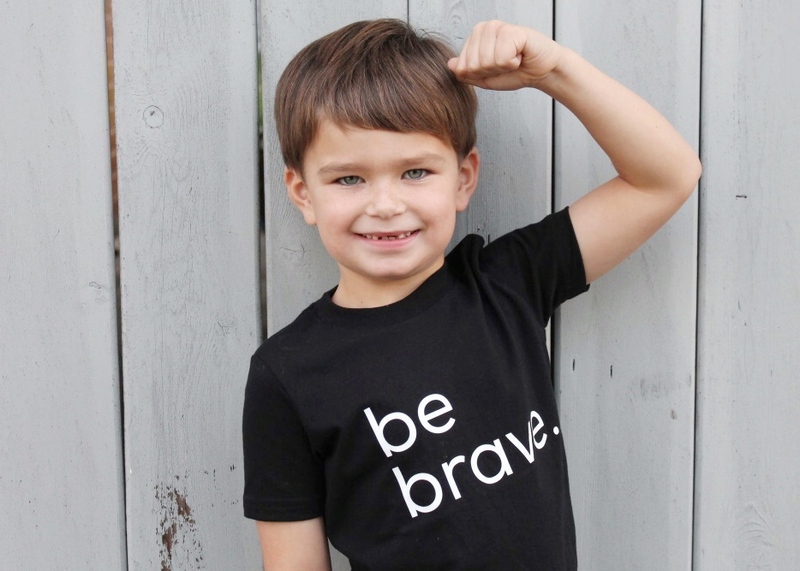 When he was two-and-a-half, he was diagnosed with kidney cancer. What we thought was going to be a routine emergency room visit with a tummy ache turned into a 10-day hospital stay, where he had surgery to have one kidney removed and further testing. Thereafter, he went through 9 radiation treatments and several months of chemotherapy at BC Children’s Hospital. Ten months after his diagnosis, he was deemed cancer-free; however, he has regular check-ups that involve blood work, ultrasounds, and other tests. 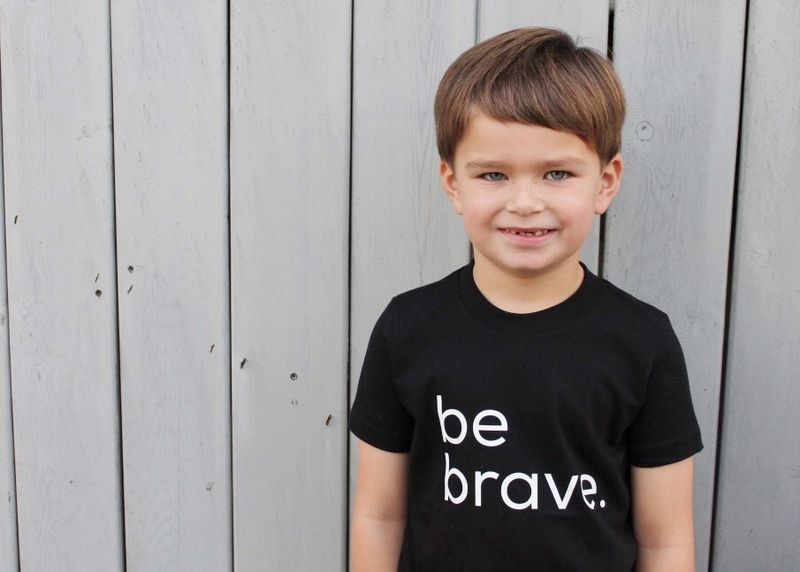 He by far is one of the bravest kids I have ever met, and of course, I felt that he needed one of Maria’s “be brave.” tees. Since receiving it, I have to say he wears this shirt proudly, and it is in our regular rotation. Of course, my daughter couldn’t miss out on rocking her own shirt! 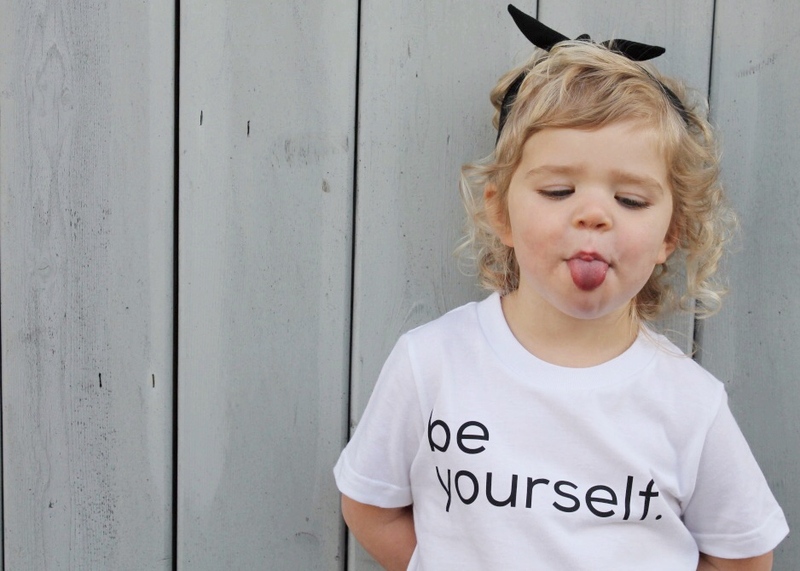 I chose “be yourself.” for her, as I love her cheerful disposition and sense of humor. 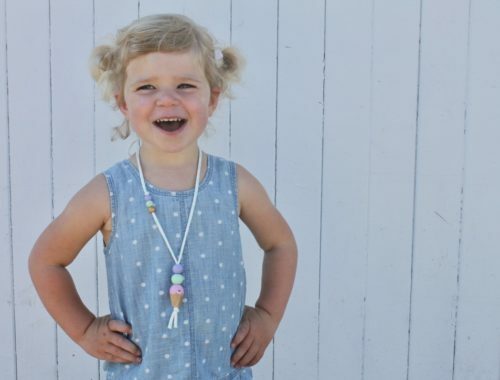 She is all girl, but can also keep up with her busy masculine brother. I hope she continues to shine confidently as she goes through life. 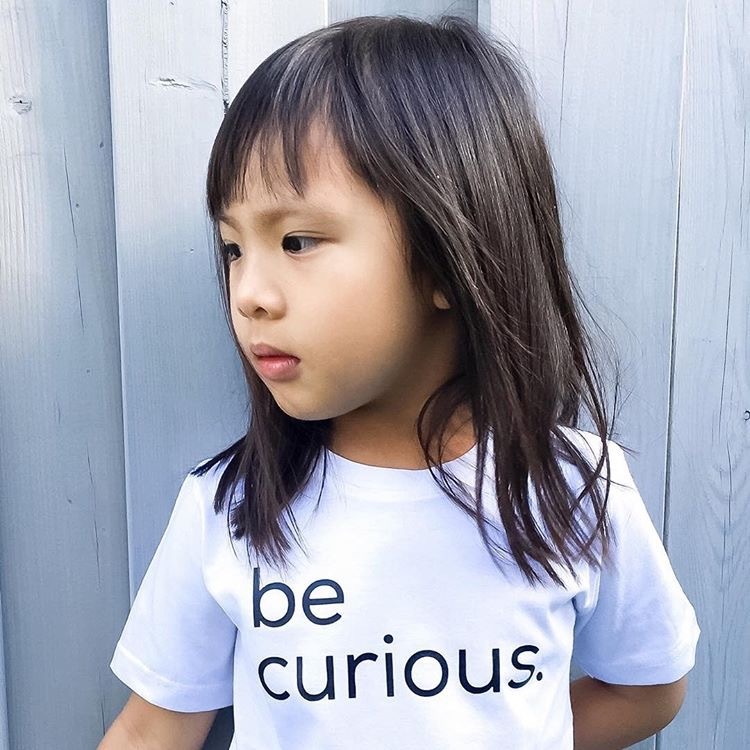 Maria was also nice enough to share a couple shots of her own daughter rocking a “be curious.” shirt. Another great option for the adventurer in your life.